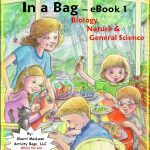 Last week at my homeschool co-op class, I taught our Magic School Bus Science class and did a lesson all about DNA and Genetics. 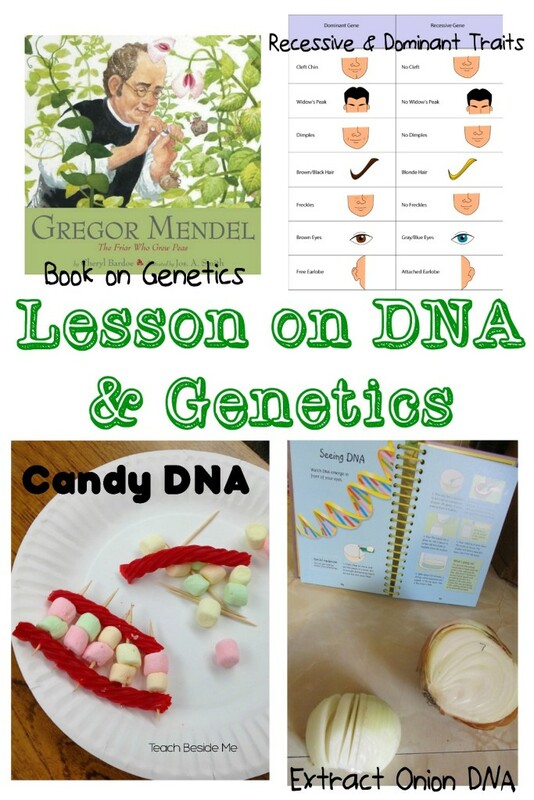 It was a really fun lesson to prepare and to teach and I wanted to share some of the DNA teaching resources I used to help you teach on this subject. We started by talking about genes. 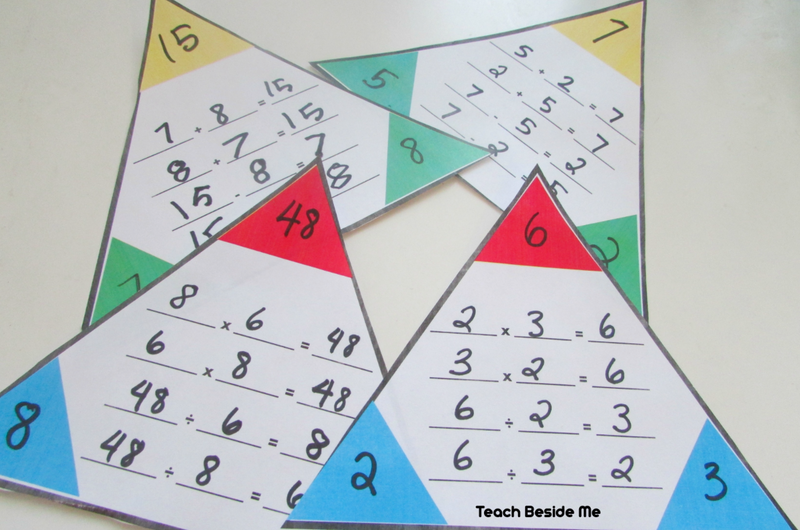 My class was very young (ages 5-7), so we kept it pretty simple. 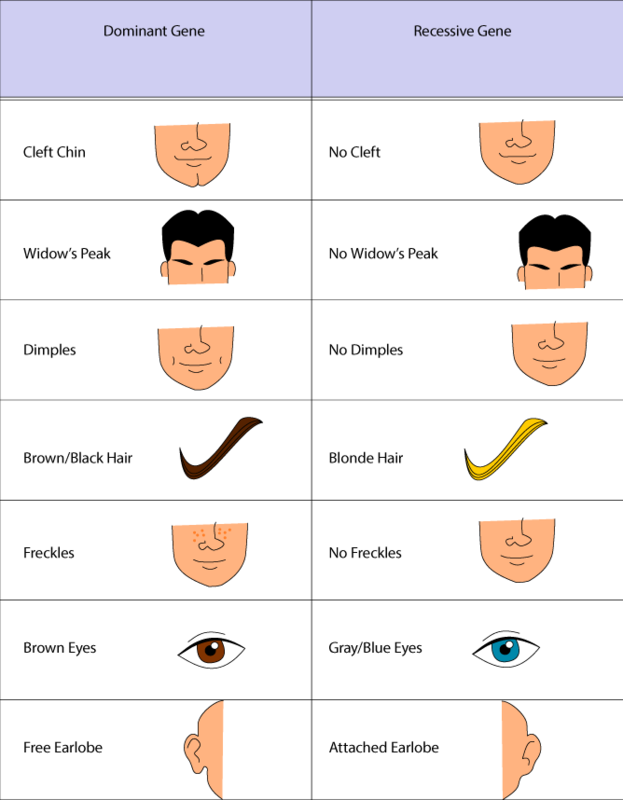 I found this great chart on the education.com website that shows dominant and recessive traits. I explained to the the difference between dominant and recessive traits. Then I gave each of them a copy of this and had them walk around the classroom to interview the kids in the class. They marked for each one which of the traits everyone had. It was fun to see! 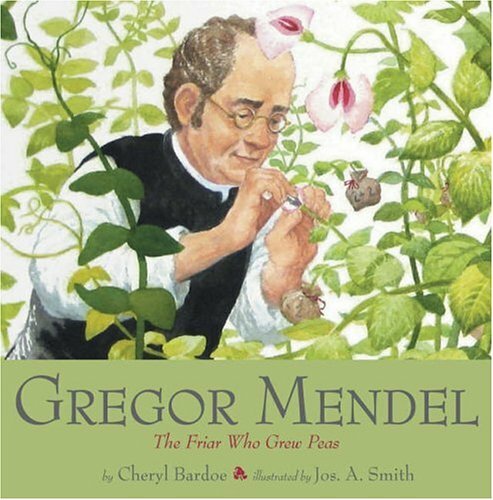 I read to the class the book Gregor Mendel: The Friar Who Grew Peas. It is an amazing story about a man who is regarded as the first geneticist. He pollinated peas on his own and figured out dominant and recessive traits. I love this book! I showed them how to extract the DNA from an onion next. 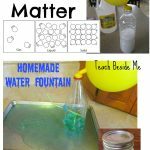 This is a cool & easy experiment to do with kids. You can do it with any fruit or vegetable, or even with your own saliva! 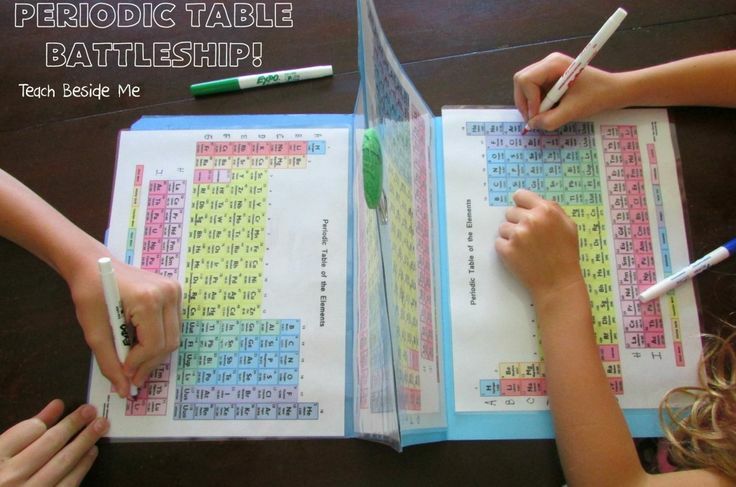 I got this idea from our Usborne book, 50 Science Things to Make and Do. To do this experiment you need to chop an onion into small pieces and put them into a bowl. Pour in enough dish soap to coat them, but not cover them. Add in 1/2 tsp. of salt and 2 Tbsp of water. Stir gently but try to avoid making bubbles. Leave the mixture for 10 minutes, then stir again and drain the liquid into a clear bowl or jar. Scrape off and bubbles or foam. Pope rubbing alcohol into the jar. The alcohol will form a separate layer. Do not stir it. Let it sit for 20 minutes. A stringy white substance will appear on the top layer. This is the DNA of the onion. Pick them up with a toothpick to examine under a microscope. 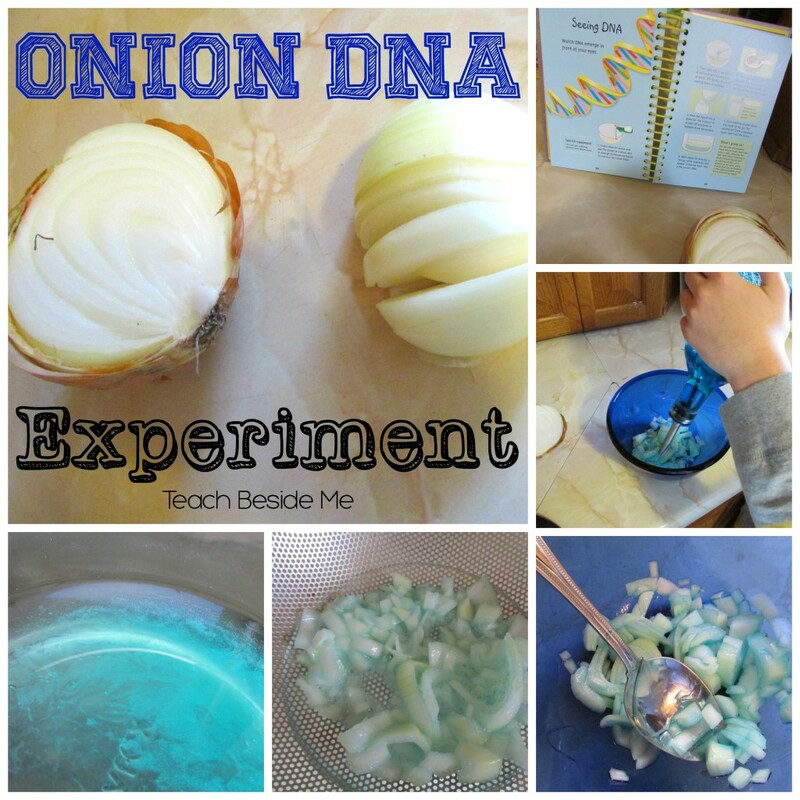 The salt & dish soap break down the cells of the onion and release the DNA. DNA does not dissolve in alcohol, so it appears as a solid strand and floats on top. 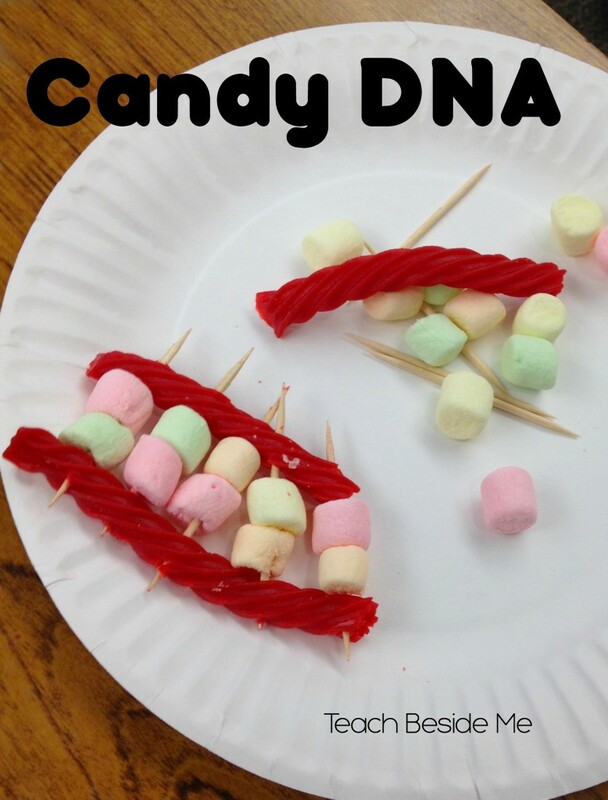 Last we made a candy DNA model using licorice, colored marshmallows, and toothpicks. I explained to the class that this is what a strand of DNA looks like. 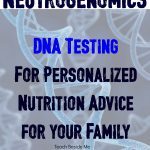 It is a map of DNA and the different combinations are what makes up who we are. 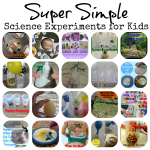 They of course loved making and eating this project!